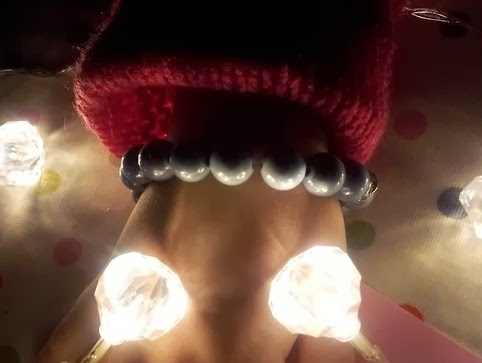 Glowbeads Bracelet- Let them glow, Let them glow, Let them Glow! When we were sent a gorgeous Glowbeads bracelet I was going to keep it for myself. However, Rebecca has been getting scared recently when visiting dark places, such as the cinema. She has a couple of pantomimes coming up with Brownies and School. I want her to feel confident and enjoy these fun events with her friends. 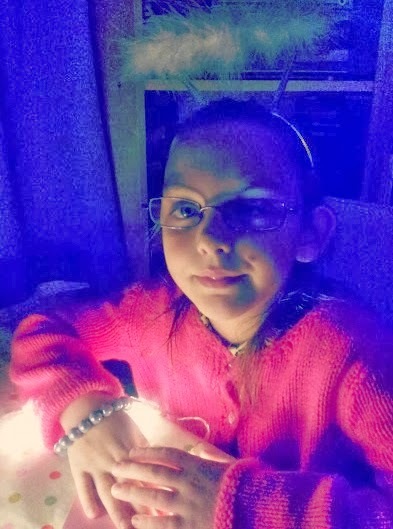 When I received our Glowbeads bracelet, which give the illusion of glowing when the light hits them – during the day or the night, I wondered if these could help Rebecca’s confidence. 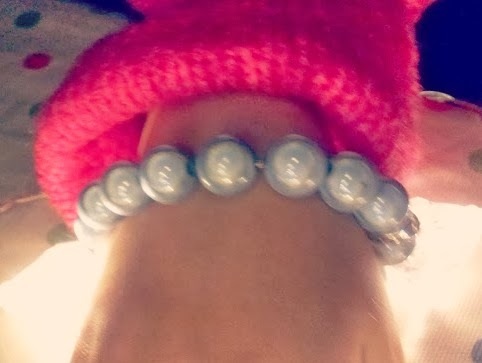 She loves her Glowbeads bracelet and has been wearing it everywhere. 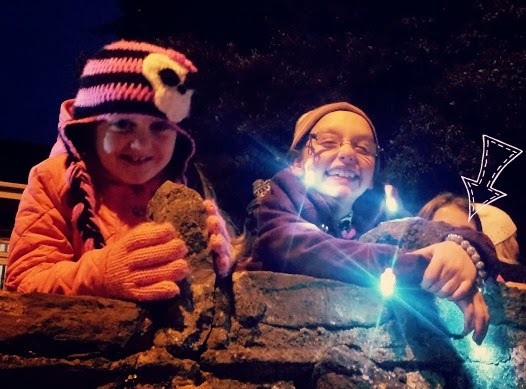 There were lots of lights to make it glow as we walked in our town lantern parade and turned the town Christmas Lights on. When she takes it off at night for her bath and bedtime. I see it glowing under the bathroom light in a decorative bowl on the shelf. It looks like an ornament. 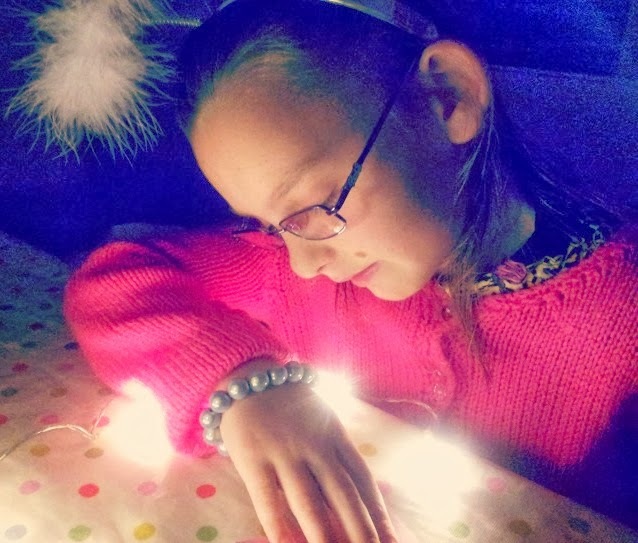 Rebecca is enchanted by her Glowbeads bracelet and I’m thinking of buying a few more now. I know Rebecca would love the Fuschia one while Caitlyn would love the Blue-Multi Glowbeads. There are colours to suit everyone. 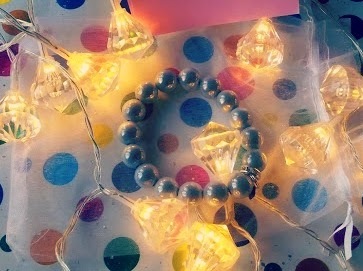 Glowbeads are also available as Christmas Gifts and Decorations, from £4.50. I love the Decorated Shabby Chic Flower Heart. I think these would make the perfect Christmas Gift for the ladies and girls in your life. 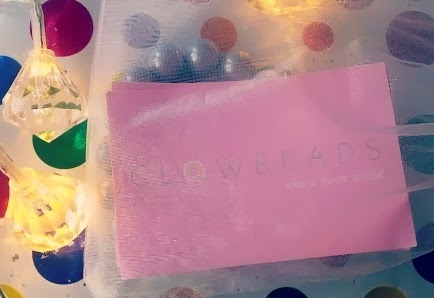 Thank you Glowbeads for sending us a Bracelet to review!